Women are very often bothered by small, red & blue spider veins on the thighs and the entire legs. If not associated with the large, bulging and painful varicose veins, these small spider veins can be diminished or eliminated by injections of small amounts of sclerosing solution delivered through tiny needles. Sclerotherapy for small spider veins is generally more effective and comfortable than other available laser-assisted methods. While several formulations of sclerosing solutions are available, Dr. Zemplenyi treats spider and small reticular veins with injections of Asclera ™ (polidocanol 1%) brought into the United States by Merz Aesthetics ™ . In Europe polidocanol has a very long, proven tract record of safety and effectiveness associated with very few side-effects, and it has been available in Europe and Canada for several decades while it finally became approved in the United States in 2010. Several injection sessions may be required for elimination of spider veins, but clinical studies demonstrate that polidocanol 1% (Asclera ™) is more effective and safer for treatment than the older treatment options available in the United States such as sodium tetradecyl sulfate (STS) 1%. In general, spider veins located on the calfs are more resistant to treatment than on the thighs and thus may require more treatment sessions. Temporary discomfort at the injection sites and temporary brown skin discoloration may occur. Following each treatment, compression of the treated areas with medical-grade hosiery and walking are recommended, while heavy exercise and hot baths are to be avoided for about a week following each sclerotherapy session. Dr. Zemplenyi refers patients for a venous ultrasound Duplex scan whenever he suspects the existence of an underlying open communication between the deep and superficial venous system. Dr. Zemplenyi does not treat varicose veins. What is the cost for Sclerotherapy? The cost for sclerotherapy depends on the size of the affected area and will be discussed at the time of the pre-operative visit. What are the risks associated with Sclerotherapy? Temporary discomfort at the injection site and brown skin discoloration may occur at the injection site. In some persons, the discoloration may take several months to resolve but it usually fades more promptly. There may be need for repeat treatment. Generally, there is no recovery time after sclerotherapy treatments and regular activities may be resumed after treatment. What can I expect post-procedure? After the procedure, wearing of compression hose may be recommended. Walking is encouraged, although squatting and heavy lifting should be avoided. Strenuous exercise and hot baths should also be avoided for about a week. The injection site may be bruised initially, fading over several weeks. What can I expect during Sclerotherapy? The area is cleaned to maintain sterility. Then, under good visualization, sclerotherapy solution is injected into the veins using very fine needles. Multiple veins and areas can be treated during one session. What kind of anesthesia is used during Sclerotherapy? Most patients do not require any anesthesia for vein injection but topical anesthetic can be discussed with your physician. What is the Sclerotherapy procedure? During the procedure, sclerosing solution is injected into the veins, effectively closing them. The procedure is performed under bright light with good magnification for precise injection of the offending blood vessels. Depending on how many veins are involved, more than one injection will be necessary. Who is a candidate for Sclerotherapy? Sclerotherapy is a great option for anyone who wants to get rid of the small, red and blue spider veins on the legs and ankles. Sclerotherapy diminishes or eliminates small spider veins on the leg or ankle by injection of a sclerosing solution. This solution irritates the inside of the vein, closing it and eventually causing it to fade. Spider veins can also be ablated with laser treatment through the skin and the laser therapy may be combined with sclerotherapy. 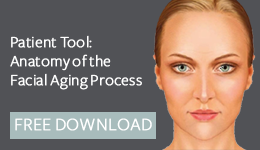 Download this patient tool now to learn how you can combat the facial aging process with facial rejuvenation treatments. 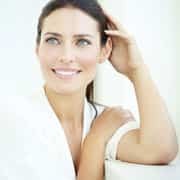 Jan Zemplenyi Facelift | Jan Zemplenyi Reviews | * Results cannot be guaranteed and may vary from person to person.